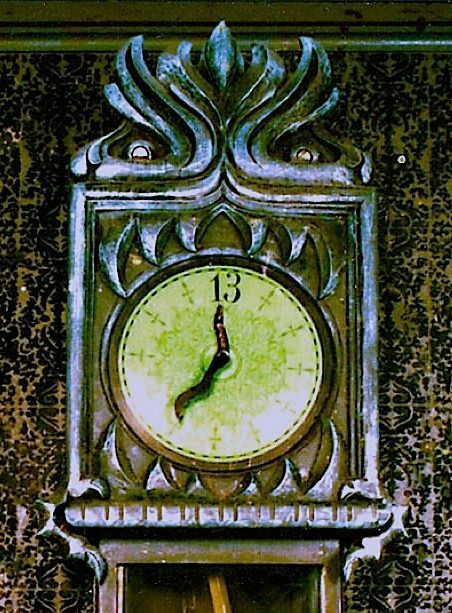 You see an ominous grandfather clock, forever striking thirteen, as the shadow of a threatening hand slowly descends. 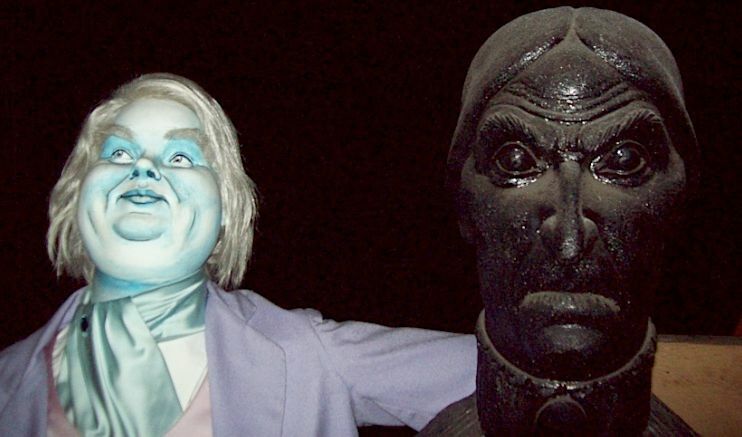 The stuff of nightmares, no? 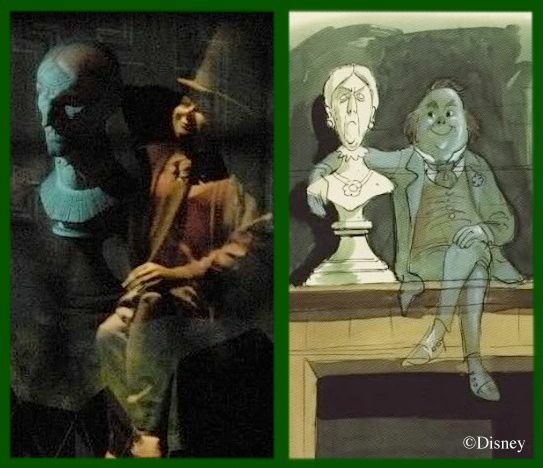 This is another brilliant Haunted Mansion tableau only briefly glimpsed and yet easily grasped. It works because the imagery is familiar enough for you to need only a glance in order to read it. 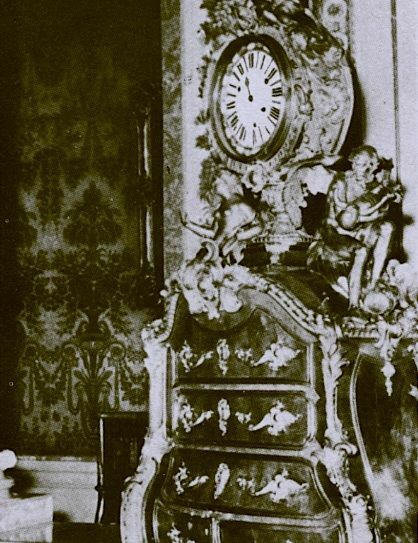 The first thing to say is that there has always been something vaguely unsettling about grandfather clocks. They're about the same height and girth as a human being, they have a face, and for centuries the clock was by far the most complex piece of machinery most people knew, the closest thing to artificial intelligence. 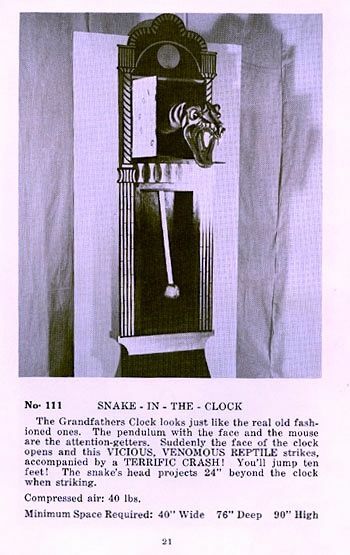 Long before radio and robots, it was the clock that seemed eerily human. 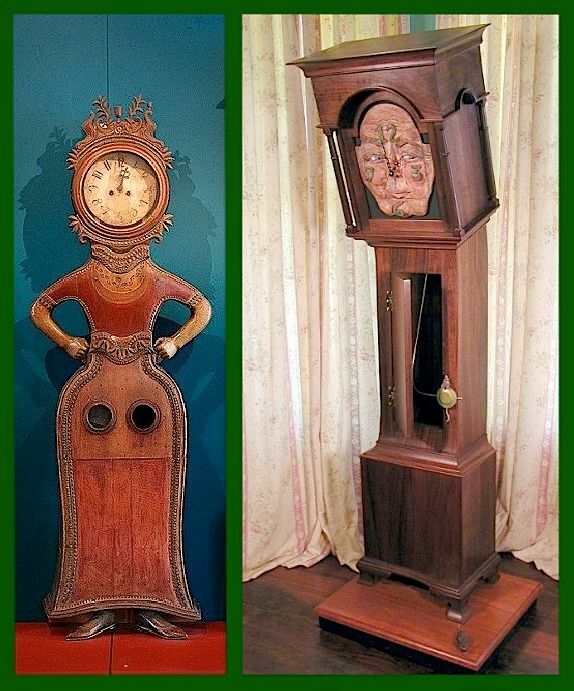 It's never taken very much to anthropomorphize grandfather clocks in odd or whimsical or sinister directions. making scary movies. They're right up there with suits of armor when it comes to creepy things standing around in dark old houses. 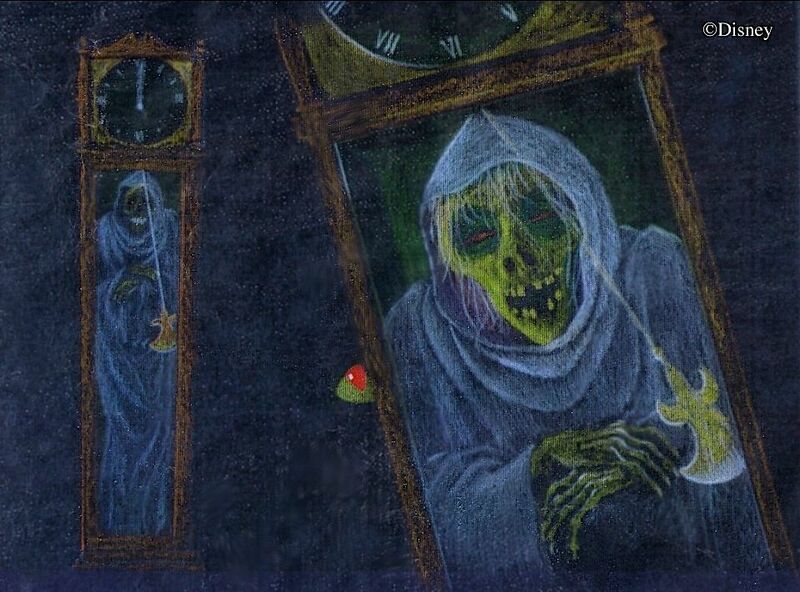 over at the Passport to Dreams blog, has posted an industry ad for a spookhouse clock. "You'll jump ten feet!" 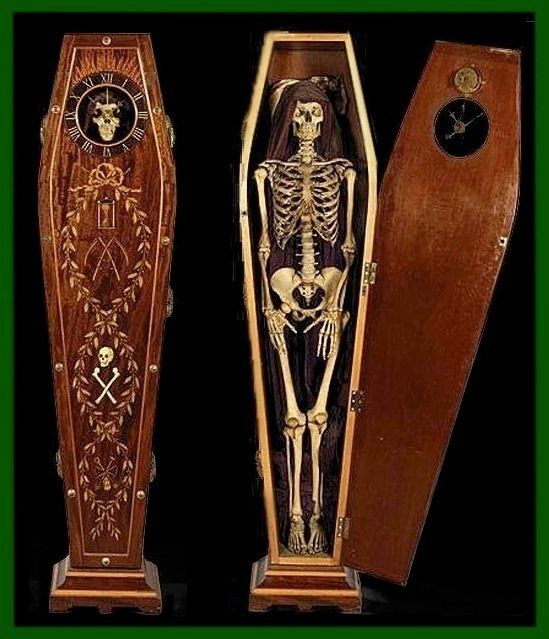 And if it's a creepy grandfather clock costume you want, check out this. 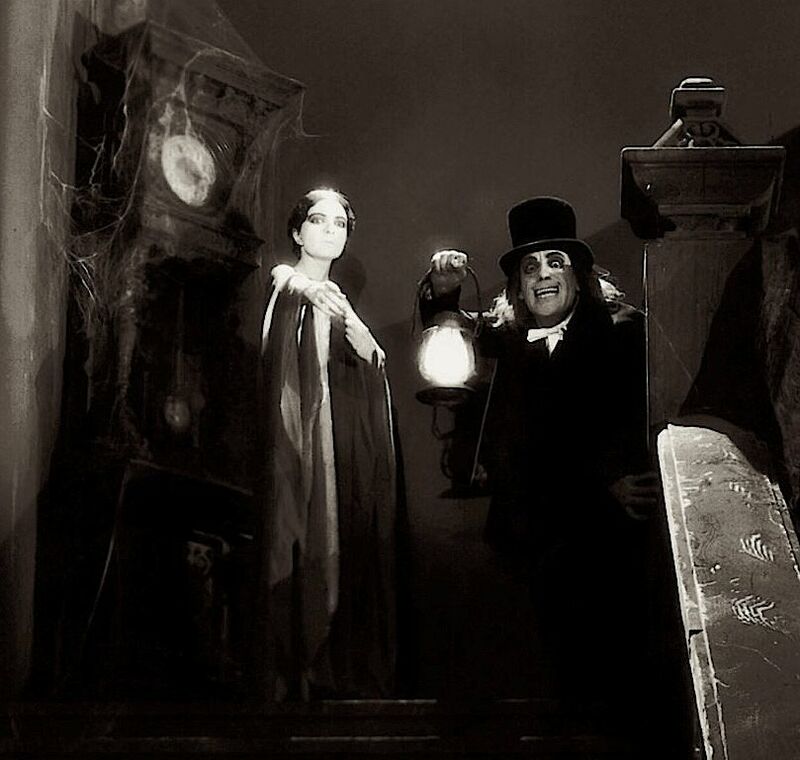 It's a small step from this general eeriness to the notion of haunted clocks, and sure enough, in popular culture haunted clocks are a widely-known phenomenon. 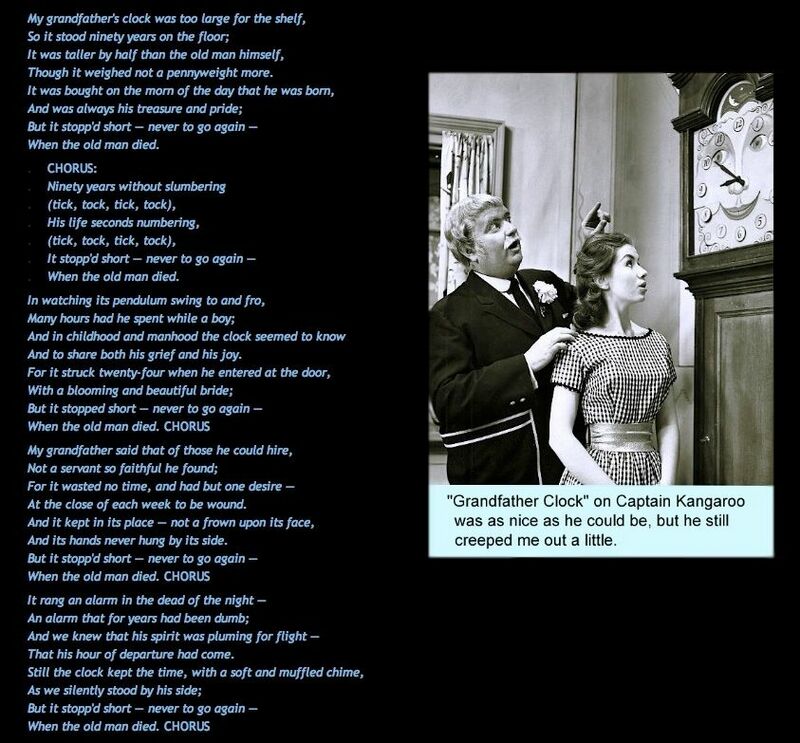 A good musical example is "My Grandfather's Clock," a lively little ditty written in 1876. I guess it's sort of a folk classic. We used to sing it in school when I was a little kid. It's been recorded by the Everly Brothers, Burl Ives, and Johnny Cash, among others. "On our first wedding anniversary, my parents gave us an anniversary clock. Not expensive, but I loved it. It kept perfect time for years. Mom passed in 1990. After a few years, it stopped. Changing batteries didn’t help. Because I loved it and it meant something to me, I kept it on the mantel. When we moved, the clock went with us and had its place of honor on a new mantel. But it was quiet, and the pendulum didn’t move. (On) Jan. 6, 2012, my dad passed away. Dad was a major do-it-yourself handyman. There was nothing he couldn’t fix. ... 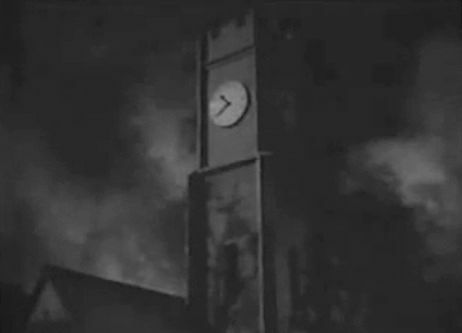 The clock still randomly chimed, until then. About a week after we buried Dad, we sat in the kitchen talking about him over a glass of wine, and damn, the clock chimed at 10:59 p.m. The next day, while dusting the mantel, I freaked out. The pendulum was spinning and the hands were keeping time! While it doesn’t chime every hour, when it does, it is usually at night and always at one minute to the hour. Guess Dad is still working on it. Between the random chimes I have a connection to my parents, who I miss tremendously. The clock stays, as is." "My cousin, Gerri, passed away two years ago in September. Her brother cared for her and was very good to her until she died. Well, just a few months later, our families all got together for Thanksgiving at the brother’s house. Dinner was out on the table, and Gerri’s brother gave a toast to Gerri, and we all raised our glasses to her. He said some really sweet things to his sister, and we were all missing her and wishing she was with us. 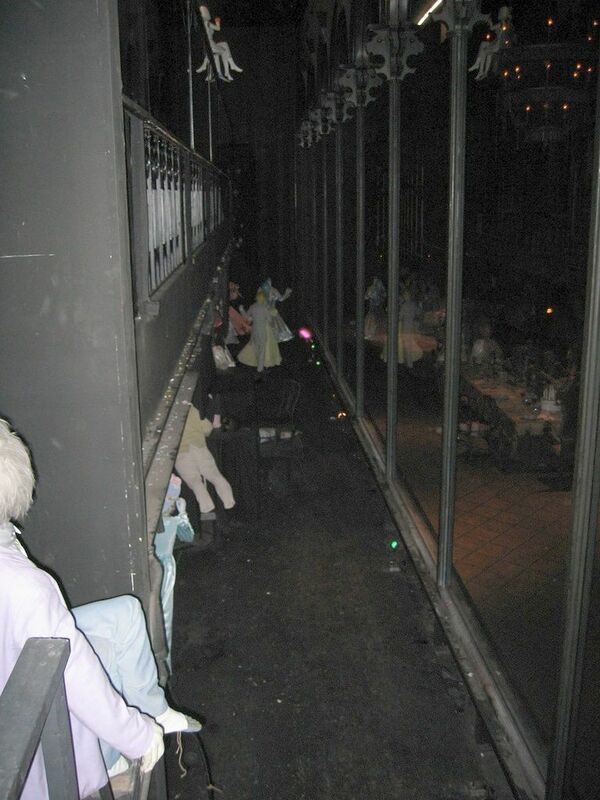 Suddenly, a clock on the buffet started chiming. The brother stood up with a really funny look on his face, and then he told us this: The clock had not worked in over a year. It was sent to a repair shop, but could not be fixed. It just started working right after our little toast. It works to this day. So it must be that our loved ones can somehow communicate to us through clocks. I truly believe this." "Many years ago, on our first anniversary, my husband bought an anniversary clock with a chime. It stopped working (they always seem to stop working, no matter who owns them), and we took it to clock repairmen. But ... it wouldn’t work. I left it in our house, always in a place of honor, so everyone could see it. It’s really a beautiful thing. (My husband) died five years ago. A few months after he died, I was still missing him, and then the clock began chiming. It was on what would have been our 54th wedding anniversary. The clock now works and keeps good time. I can’t explain it, but I know what I want to believe." did the "My Grandfather's Clock" thing is 1786. It died when he died. And guess what? 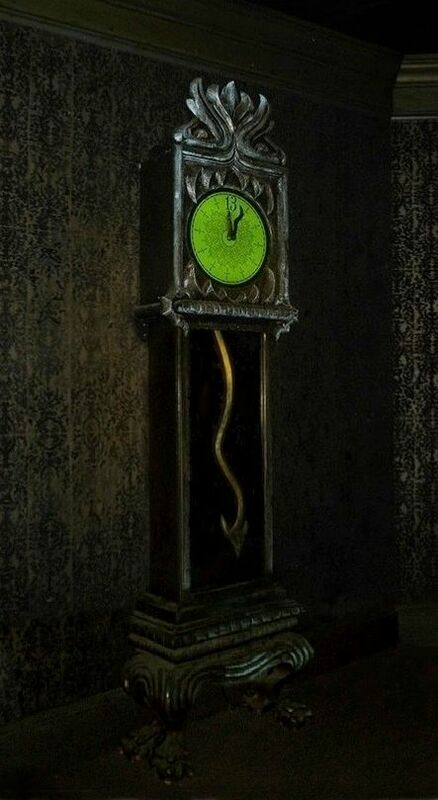 Sometimes these haunted clocks strike thirteen. "I am the fourth owner of a grandfather clock that was first purchased by my grandmother's brother approximately 100 years ago. Great Uncle Telemac was a man of wealth who could neither read nor write but went on to start one of the largest insurance companies to date. 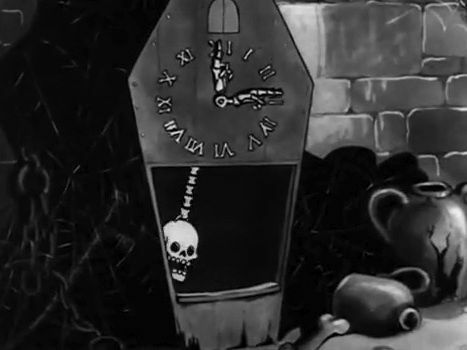 When he passed away, the great clock stopped, and no amount of coaxing would get it to start again. 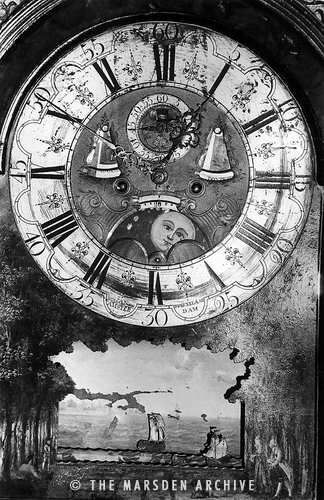 It sat in the dining room of his house in Montreal, Quebec, and when the family was gathered around the dining room table to hear the reading of the will, the clock started again with no outside influence. The clock is a seven foot tall unit that has a series of three weights that have to be pulled up by chains to wind it. When my grandmother Blanche died, it again stopped working and would not start. My mother was given the clock by her sister and had the clock shipped a thousand miles to her house. For weeks the clock would not run. When she received a copy of her mothers will in the mail, the clock again started. I was living with my mother at this time, and we had gone to town. We found the copy of the will in the mailbox, and when we went into the house we found the clock running. When my mother passed on, the clock struck thirteen and would stop and run in spurts. The clock thus far has been behaving itself, with no other episodes." The Sherman House in Plover, Wisconsin is reputed to be haunted. 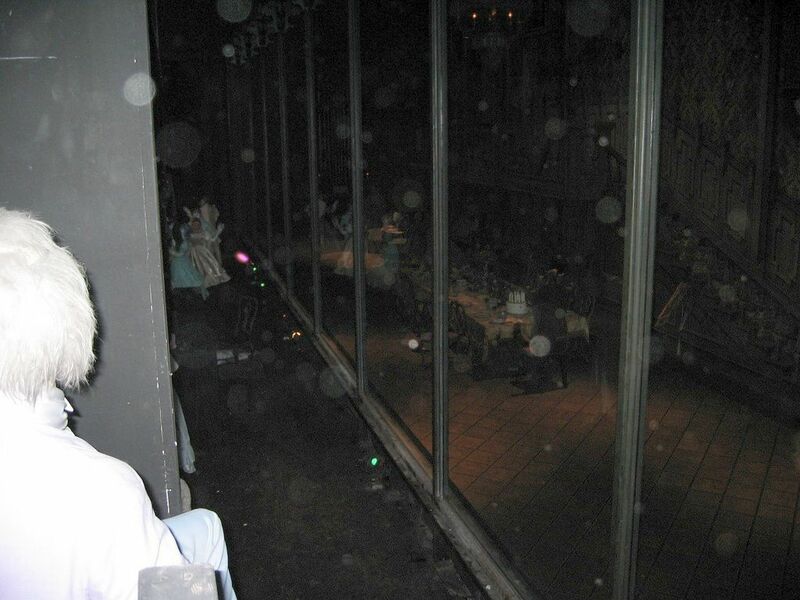 It's a renovated 19th century building, and it has been plagued with poltergeist activity since opening as a restaurant in the 1980's. Among other things, they've got glasses flying off the shelves, a massive front door that opens and closes by itself, and a mantel clock that strikes thirteen at midnight. appears in pop fiction and cinema as well. 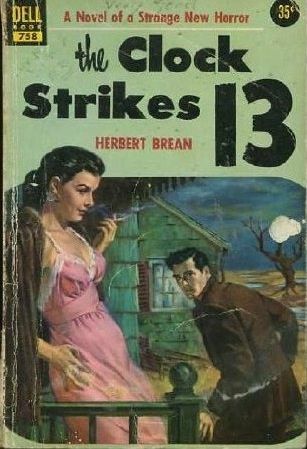 This is from 1954.
strikes thirteen just before someone dies, we also get a creepy raven and long dark hallways with suits of armor standing around. 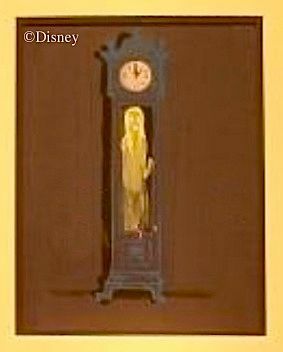 Like so many other ideas, the Mansion version of the haunted grandfather clock originated with the Father of the Haunted Mansion, Ken Anderson, as we can see from a sketch he produced during his pioneering labors on the attraction in 1957-58. 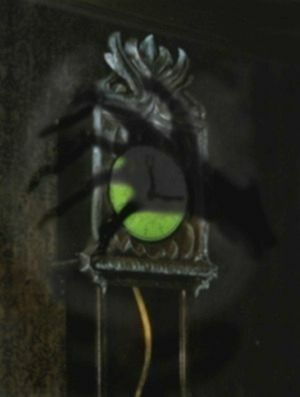 I wish I had a bigger, clearer copy, but what we can see is plain enough: a normal-looking clock with a ghost inside the cabinet. 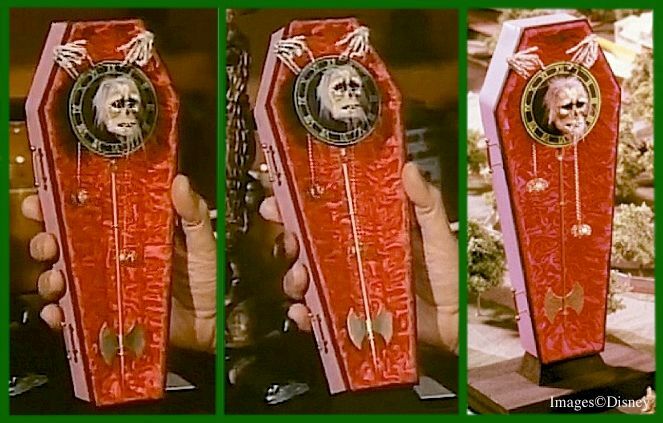 Later on, another Imagineer came up with his own idea for a spooky clock, one that had nothing in common with Anderson's version. 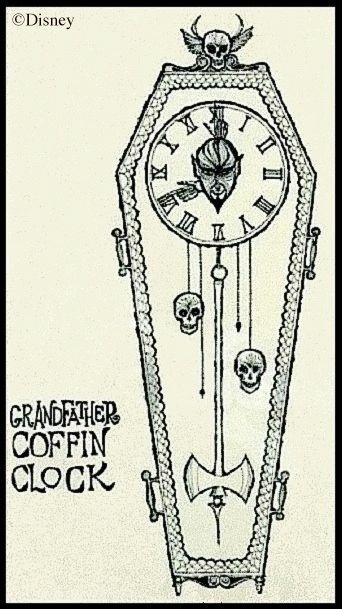 In 1964, Rolly Crump sketched a "Grandfather Coffin Clock" for his Museum of the Weird project (which, as you know, was never incorporated into the ride). He also had a maquette made up. The little model is interesting in its own right, as it is far from identical to the sketch. 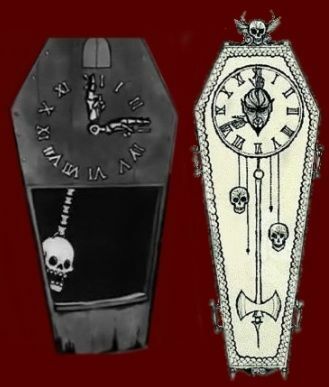 on its face and a skull pendulum reminiscent of Rolly's skull clock weights. secretary/lover. They say the Countess never recovered from his death. Well, yeah, I'd say not. Since none of these looks much like the clock we finally ended up with, there must be missing pages to our history. There are probably more sketches out there, by Claude Coats or (more likely) Marc Davis, sleeping soundly in some forgotten file. 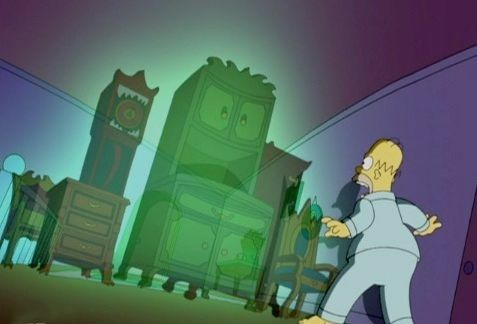 Anyway, once it had been decided that (1) no ghost would be visible until Madame Leota worked her wonders, and that (2) the clock would come before the Séance room, the ghost inside the cabinet had to disappear, as ghosts are wont to do anyway. Nevertheless, the fixture itself sprouted a few spectral countenances. The demon face framing the clock face is the obvious one. I'm sure that many (if not most) of you have long been aware of it. Atencio's ghost would have been. 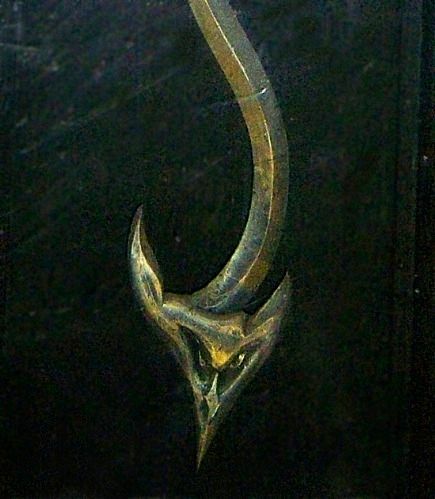 Behold, a remnant. It is all that survives from what we now know was a much bigger idea. 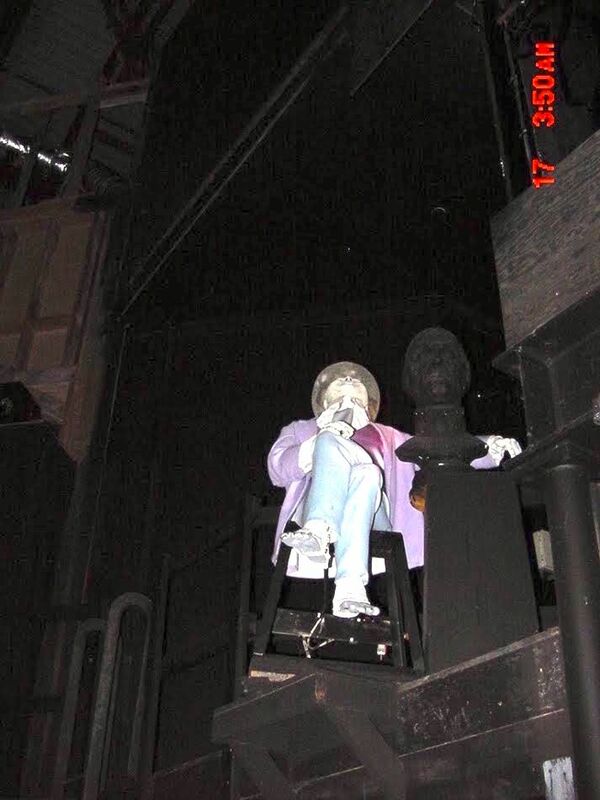 Have you ever noticed that the Ghost Host tells you, "The real chills come later" immediately after the biggest scare of the ride? Well, if he isn't lying, the only thing he could realistically be referring to (in my opinion) is this scene in the Clock Hall. 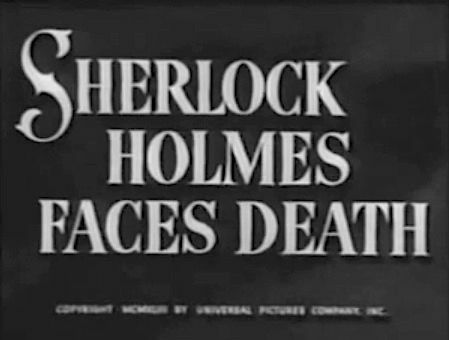 It's the climax of Act One in the three act play that provides a broad and basic narrative for the attraction. 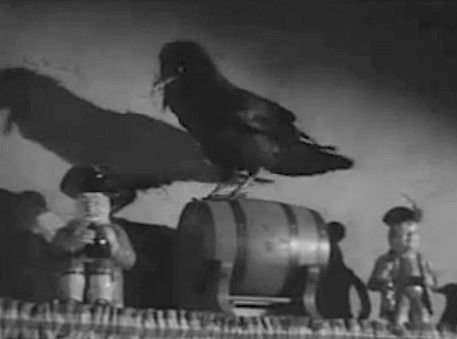 As we've mentioned before, the shadow of the hand coming down on you (someone behind you?) is the closest thing to an actual attack in the entire ride, the only undeniably hostile act directed against you personally. 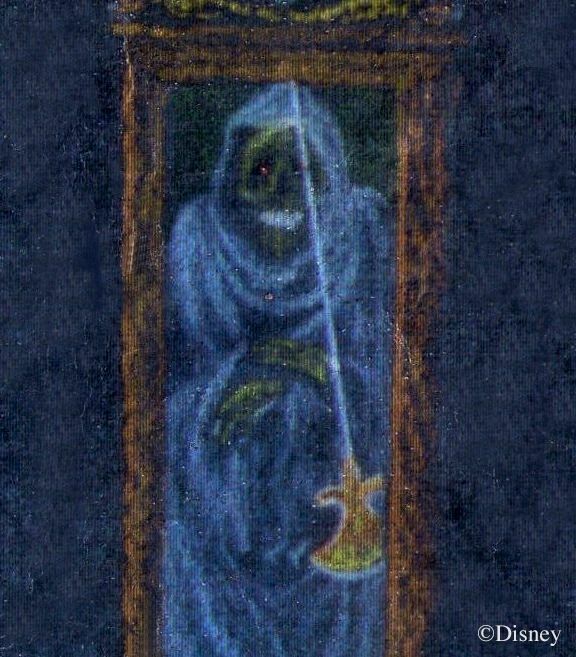 Up until then, you may have suspected that the Ghost Host and the rest of the ghosts are hostile, but there have only been hints and suggestions in that direction, not real evidence. Until you enter the Clock Hall. Yep, here's a real chill that came later. a previous post. 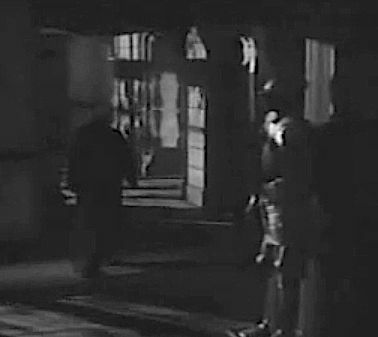 As you may recall, I suggested that this effect was inspired by Nosferatu (1922). The show details are critically important. 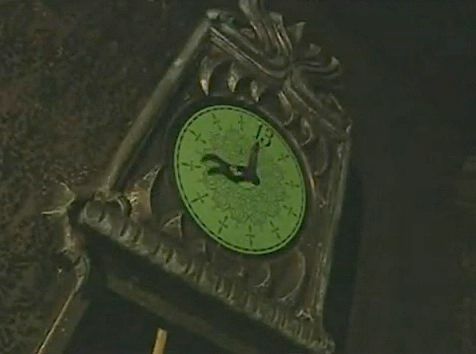 If the minute hand had spun forward, no doubt we would all be sitting here postulating about time speeding up in the Mansion, with the hands agreeing with the number 13 in pushing us forward in time unnaturally, blah blah blah. On the other hand, if a normal clock face were presented (e.g., with a "12" at the top), but the hands were spinning backward, we would all be chattering about a possible trip back in time. But we haven't got that either. 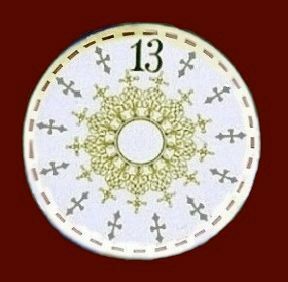 The "13" points forward unnaturally and the minute hand sweeps backwards, equally unnaturally, leaving the viewer confused. It's Tulgy Wood signposting, pointing two different ways at once. You cannot make sense of it, so your only recourse is to throw up your hands and recognize that you are lost. You have entered a netherworld, a surreality that follows its own uncanny logic. Think Alice in Wonderland . . .
if the hands are going backward, perhaps I am going backward too, and in that case it will soon be breakfast again. Oh dear, this is all very confusing." 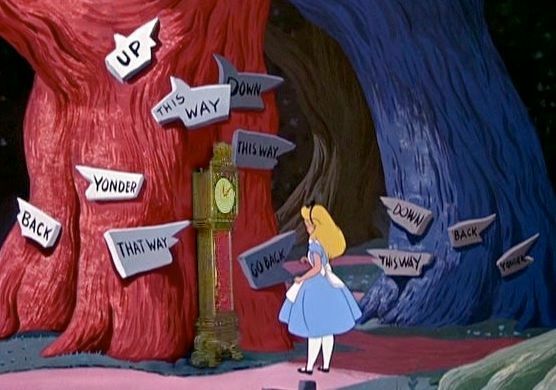 Yeah, think Alice in Wonderland, except this time the dream is a nightmare. 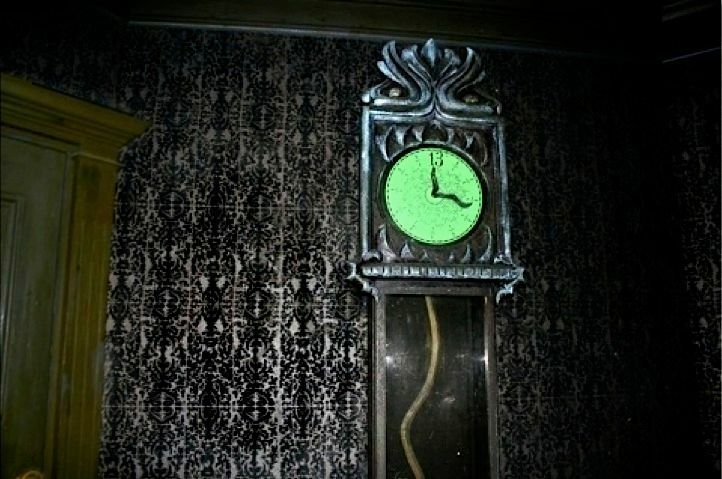 (1) The haunted grandfather clock appears in all of the Mansions (Anaheim, Orlando, Tokyo, and Paris), but each one is slightly different, especially with regard to the hands. has hands reflecting the artistic stylings of its Japanese setting, and Phantom Manor has snakes. 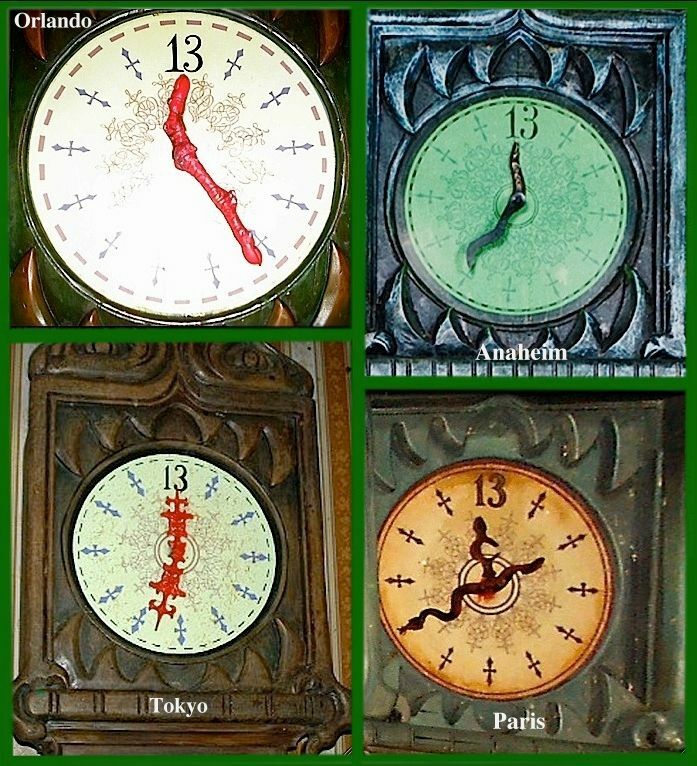 (2) Only the WDW clock face actually has thirteen marks on it; the others simply put a 13 where the 12 would be. Normally, I don't take you Forgottenistas on backstage tours, because frankly, there isn't anything particularly wonderful to look at most of the time, unless you thrill to the sight of unpainted plywood and swoon whenever you see 2x4 framing. 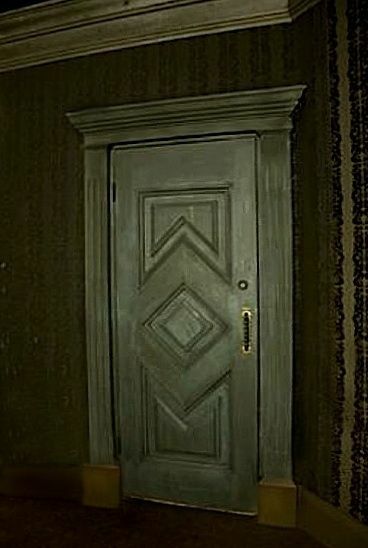 In this case, however, I'm making an exception, because that door really does lead to some interesting things. Step all the way in, please, and make room for everyone. Originally, the door was for access to the projector for Madame Leota's face. You will recall that she was going to face the other direction, looking toward you rather than away from you as you entered the room. The Imagineers turned her around sometime in mid-1969, probably because they realized that there would be no way to avoid people seeing the projector as they swung by. 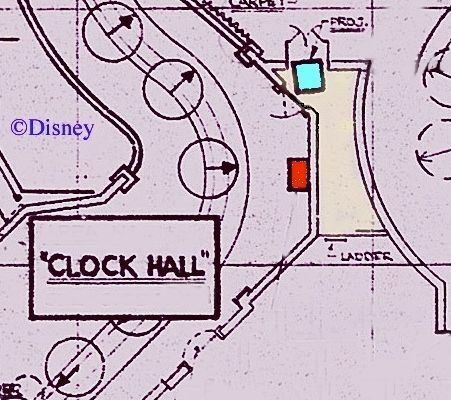 On the blueprint below, you can see the little room (yellow) with the projector (blue) behind the clock (red). 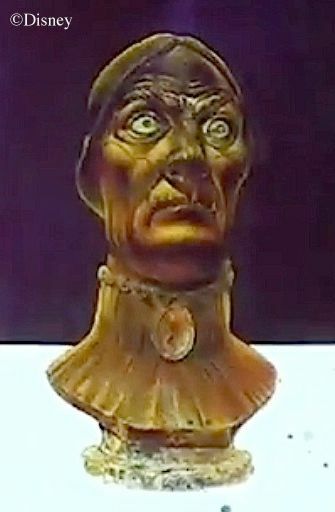 The projection would have come out of the wooden "spirit cabinet" which is still sitting right there behind Mdm L.
But after the projector was relocated, the room continued to be useful for providing access to the audio-animatronic ghost sitting on the mantelpiece in the ballroom, the one with his arm around the bust of "Aunt Lucretia." As we have argued elsewhere, the Mantelpiece Guy was a very late addition to the HM. 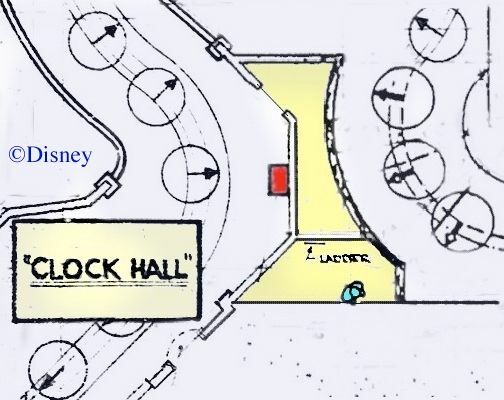 You can see him (blue) on this WDW blueprint, drawn up a few years after the one above. Okay, that's enough. Let's get back before somebody sees us here.